Goedknegt, M. A., Schuster, A-K., Buschbaum, C., Gergs, R., Jung, A. S., Luttikhuizen, P. C., van der Meer, J., Troost, K., Wegner, K. M., Thieltges, D. W.
Invasive species can cause indirect effects on native biota by modifying parasite-host interactions and disease occurrence in native species. 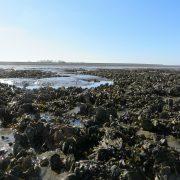 This study investigated the role of the invasive Pacific oyster (Crassostrea gigas) in potential spillover (co-introduced parasites infect native hosts) and spillback (native or established parasites infect invasive hosts and re-infect native hosts) scenarios of recently introduced (Mytilicola orientalis) and previously established (Mytilicola intestinalis) marine parasitic copepods in two regions in northern Europe, the Dutch Delta and the Wadden Sea. By examining 3416 individuals of 11 potential host species from sympatric host populations, we found that the recently introduced parasite M. orientalis does not only infect its principal host, the invasive Pacific oyster (prevalence at infected sites 2–43 %, mean intensity 4.1 ± 0.6 SE), but also native blue mussels (Mytilus edulis; 3–63 %, 2.1 ± 0.2), common cockles (Cerastoderma edule; 2–13 %, 1.2 ± 0.3) and Baltic tellins (Macoma balthica; 6–7 %, 1.0 ± 0), confirming a spillover effect. Spillback effects were not observed as the previously established M. intestinalis was exclusively found in blue mussels (prevalence at infected locations 3–72 %, mean intensity 2.4 ± 0.3 SE). 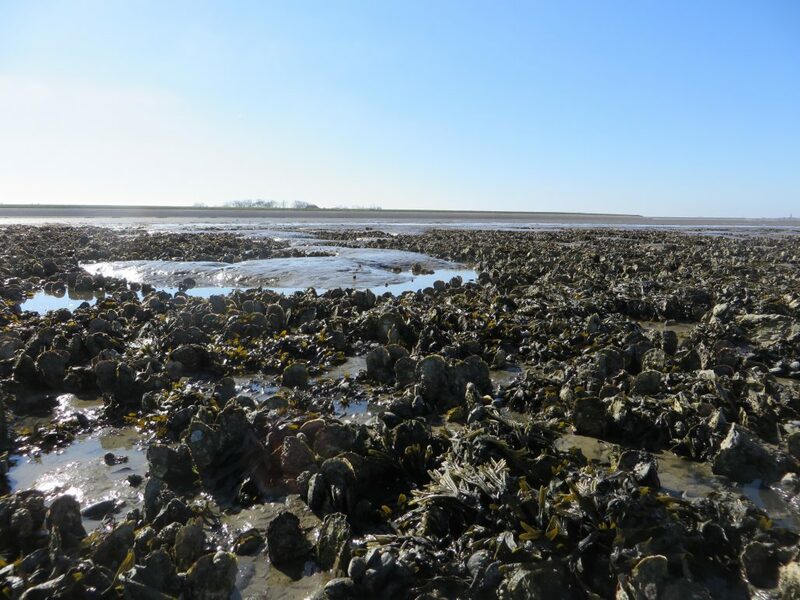 The high frequency of M. orientalis spillover, in particular to native mussels, suggests that Pacific oysters may cause strong parasite-mediated indirect impacts on native bivalve populations.